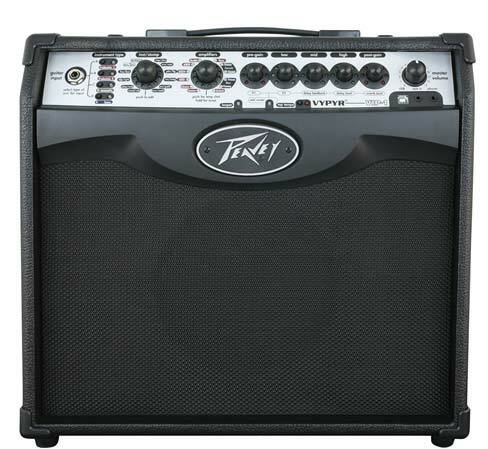 Shop Peavey Vypyr VIP 1 20W Modeling Guitar Combo Amplifer from AMS with 0% Interest Payment Plans and Free Shipping. The Peavey VYPYR VIP, Variable Instrument Performance, 1 20W Modeling Guitar Combo Amplifer changes several parts of the musical world at once! This VYPYR guitar combo amplifier has the best sound on the market. VYPYR sound effects, parameter controls, and amp models can all be accessed through the amp, disgarding the need for a computer. Combine those great features with the best new feature in YEARS! The VIP, Variable Instrument Performance amplifier is the first amplifier to contain amplifier models for Bass guitars, Acoustic guitars, and Electric guitars. This means that not only does this amplifier have the best sound available, but it also has a Variable Instrument Input for the amplification of several instrument types. Electric guitar players can access instrument models in this amp. 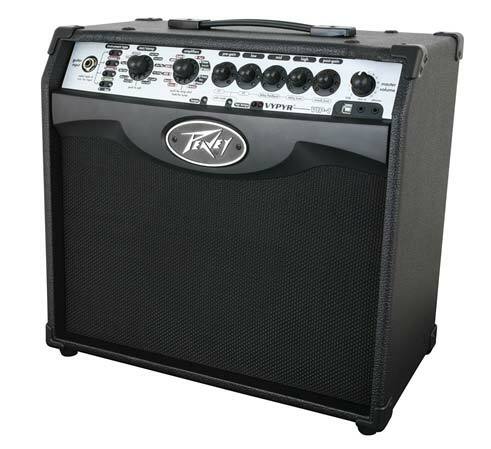 If you need an amp that can morph from Acoustic to Bass to Electric guitars; this is the perfect amplifier for you! Patented Transtube analog circuitry combined with 32-bit floating SHARC processors make this the creme de la creme of modeling amplifiers. Confusing amplifiers ruin the flow, but this WYSIWYG control panel simplifies things for easy and quick adjustments on the fly. Stop having to move controls for presets. Upgrade to the VYPYR VIP and stop guessing. Though you dont have to connect to a computer to run, VYPYRs have a bi-directional USB port for data and audio transferring. Connecting to VYPYR software is made easy through the new USB port. Just a few of the great functions via the USB port are getting lessons, recording, storing presets, playing to backing tracks, and using VYPYR software. 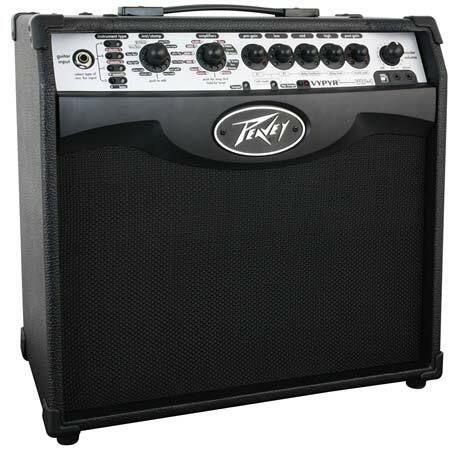 Overall this Amp gives you more instrument options, effects, power, amp and instrument models. Great sound and great price. Would have been nice to get an instruction manual with it. Such a cool little amp... I wish I had gotten The VIP 3. I needed an amp upgrade and was looking at the 'Rage' model, but got talked into the Vypyr 1 Model instead. I am so happy I did. This amp is LOADED with effects (including looper capability), and the 'trans tube' technology makes for an appealing sound...ALL of which come together with an exceptional AMS price to make this a deal you can't afford to pass on! This 20w amp got some balls i was surprised. It's easy to use and the price is just right! All effects, tuner, loud, and lightweight. Getting this for my son for christmas to start out on. Great amp with a lot of tones for s starter amp. Great little amp with a big sound and lots of features. I can dial in any tone I want without having to use individual pedals! This product is exceptionally versatile, especially for the price! I would definitely recommend this amp to anyone looking for an amazing combo! !